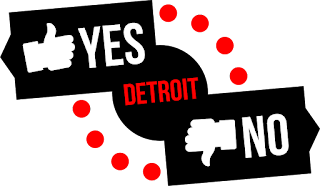 By the time you read this, I'll be on the road to Indianapolis at the crack of dawn (okay, okay, at 8am, but I have to wake up at 6:45am which is 1 hour early for me) to attend the Indiana Comic Con. Originally we were going to leave at 9am, but I just found out Neville (aka Matthew Lewis) from the Harry Potter movies will be doing a panel at 3:30pm; thus, the earlier departure time. Seeing Lorde in concert. 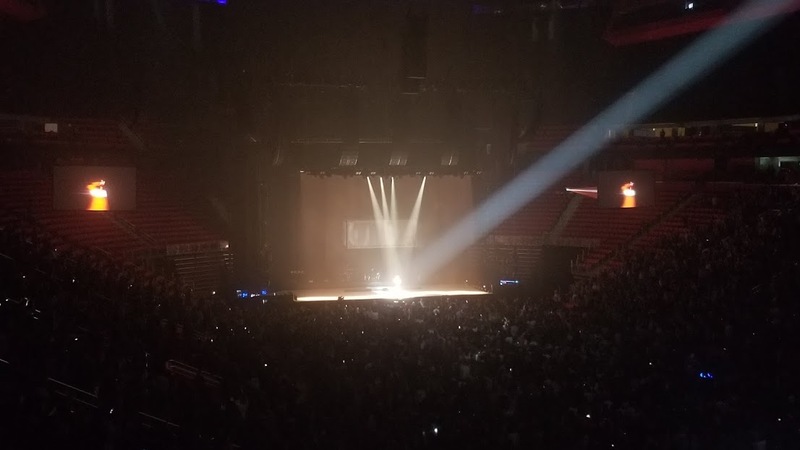 On Wednesday (actually last night, as I'm writing this on Thursday), a friend and I went to Rusted Crow for their happy hour, in Detroit, and then to Little Caesars Arena to see Lorde, along with Run the Jewels and Mitski (openers). I've been a big fan of Lorde's for a while now so it was exciting to see her in concert, and she put on a great show. Buying a new watch. My old one's battery finally died, and because it was a cheapo Target watch—I think I paid $10 for it, or so—I bought a new one. Ended up getting a $35 Timex at Walmart ... not entirely the Shinola watch I wanted but definitely more budget-friendly. The lady at the store insisted it was unisex, but later I looked it up on Amazon to price-compare and it says it's a men's watch; I like it though, so I don't care. Using up coupons for cheesecake. Every year, The Cheesecake Factory does a Cyber Monday deal where you can buy a $25 e-gift card and get two free cheesecake slices with it (great deal!). The only catch is that you buy this in November, and the slices can be used January 1 to March 31. Inevitably, I end up having either one or two coupons left by the end of March, so my mom and I went there this past weekend to get some slices to-go ... and per usual, we had to wait 10-15 minutes just for takeout (that location is always CRAZY because it's the only location in Michigan). The cheesecake was tasty, though. Seeing both bad and good movies, and bingewatching Santa Clarita Diet. Last weekend I saw Pacific Rim: Uprising, which was fun but I'd give it 2.5/5 stars. I took myself out to the movies to see Midnight Sun, which was very good (3.5/5 stars) but be prepared and bring Kleenex. I saw The Death of Stalin yesterday with my parents, which had good reviews but unfortunately I didn't care for it (2/5 stars). 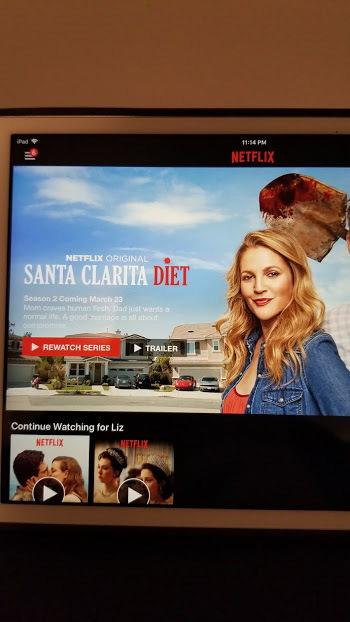 Santa Clarita Diet returned to Netflix last weekend, too, and my boyfriend and I ended up bingewatching all of it last weekend. It was even funnier than the first season and definitely worth watching, though be aware it's very gory, too. Booking work travel. I found out on Monday that I get to go to Fort Worth, TX for a work event ... one day before my Chicago trip for Unofficial Yelp Spring Break (UYSB). I'll be flying in that Tuesday and coming back on Wednesday, and then leaving for Chicago (via train) on Thursday morning. 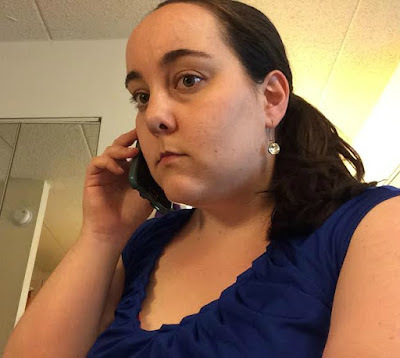 It's definitely not as bad as my Orlando/Vegas schedule last year though (went to Orlando for 5 days for BlogHer, flew home that Sunday, then flew back out Monday for a work event in Vegas for 3 days) so I'll be fine. I forgot that Texas has In-N-Out, too, so I'm (a little inordinately) excited to get some of that while I'm there—their burgers are delicious and I normally only get to eat them in CA or in Vegas.